This past Monday Chad and Arte floated the Toccoa River Tailwater. 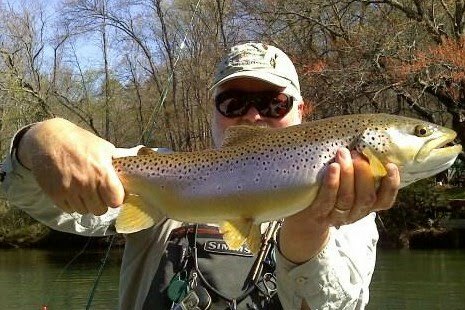 Arte was able to land this beautiful massive brown trout on a sunny day. Chad said the fish were really biting. And, they had caught several rainbows during their float too. After drooling over Arte's brownie, we decided it was time for us to hit the river. David and I wanted to test Chad's new flies. Chad is a new Umpqua Feather Merchant tier. Checkout his SCUBA fly. 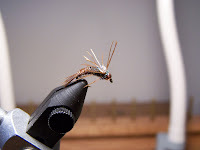 Chad has spent tons of time on the river designing and testing his flies. 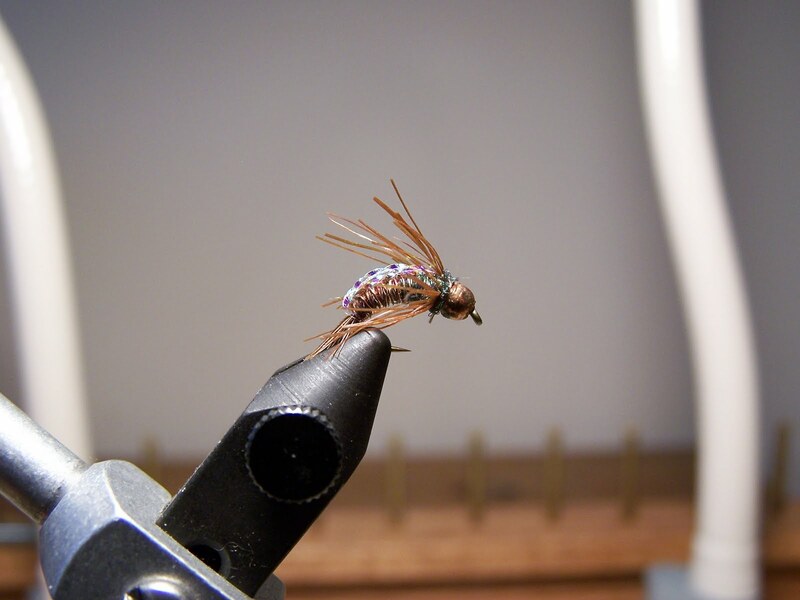 The second fly is called the Backpacker PT. It is another killer fly. David, Chad, and I had a great time on the river. We were able to catch and release several large rainbows during on float. I was able to land this rainbow on Chad's SCUBA fly. We did notice several March Brown mayflies hatching along the river. However, the fish seemed to be more keyed into nymphs and streamers. Also, we had to use some split shot to get the flies down. All in all, it was just a great day to enjoy floating the river and fishing with friends.